A new beer from the Potteries is exclusively on sale at one of the UK’s most exclusive bars. Titanic Brewery has brewed a special beer at the request of the Serjeant at Arms of the Houses of Parliament. Olde Maudit, named after Nicholas Maudit, the first Serjeant at Arms, will go on sale on a regular basis in Parliament’s famous Strangers’ Bar. The regular order follows a request to Burslem based Titanic Brewery to provide an ale for a Houses of Parliament barbecue for Serjeants of Arms from around the world, hosted by the current Houses of Parliament Serjeant, Lawrence Ward. 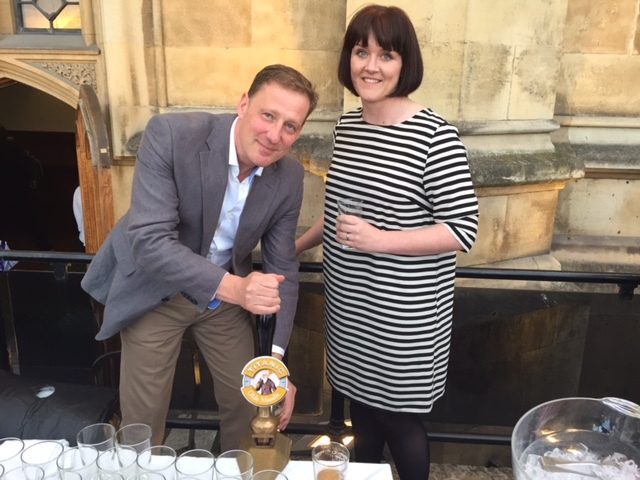 Sam Warrilow, Manager of the Sample Room at Titanic Brewery, attended the barbecue to present the first brew of Olde Maudit to the Serjeant at Arms and his guests. “The barbecue was held on Parliament’s famous outdoor Terrace and was a fabulous occasion with guests from across the globe, including the US, Canada and Australia,” said Sam. 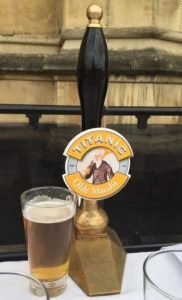 The invitation to Titanic to come up with a beer for the special barbecue came on the recommendation of Staffordshire MP Andrew Griffiths, Chairman of the All Party Parliamentary Group for Beer. For further information about Titanic Brewery and its award winning beers visit the company’s website atwww.titanicbrewery.co.uk Titanic Brewery was founded in Burslem in 1985 and has grown to produce around three million pints of fine ale every year. It is owned by Stafford born brothers Keith and Dave Bott. Keith is Chairman of SIBA, the society of independent brewers. The brewery name is in recognition of Stoke-on-Trent as the birthplace of Captain Edward Smith, Master of the ill-fated Titanic ocean liner.